In McCormick family 100 years. 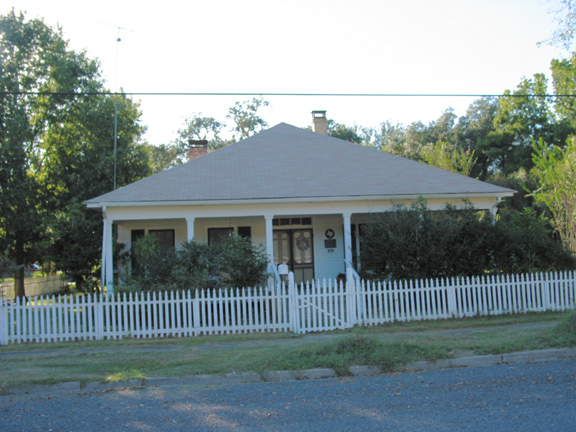 "Early Texas" cottage, built 1868, with square nails; of cypress and pine wood; had five rooms, detached kitchen, dining room. Born in Virginia, McCormick (1841-1905) came to Texas 1858; served in Confederate Army; in 1871 married Myrah Thatcher; had five children. He helped write Constitution of 1876; was attorney general 1878-1880; served 1884-1892 as judge of 25th Judicial District.